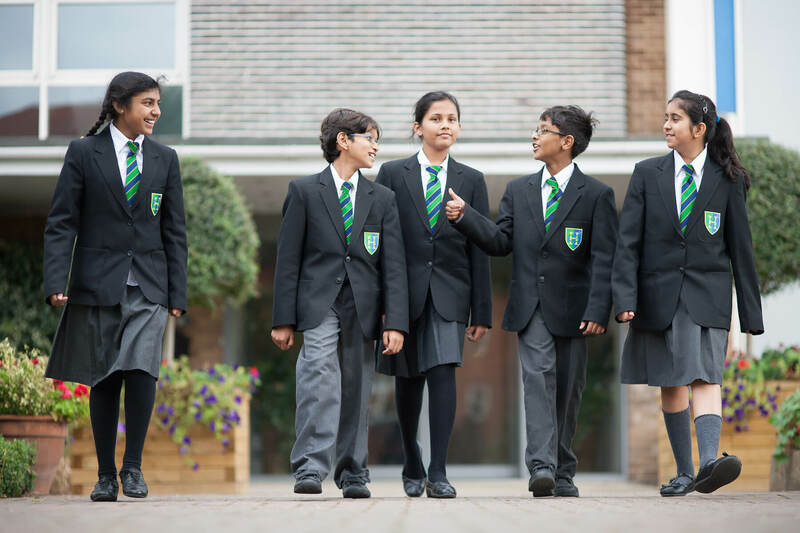 The school provides all pupils in Years 7 to 11 with the full entitlement of 2 hours of high quality PE a week. This is delivered through 2 lessons of 1-hour duration. Units of work are blocked in most cases for a set period of time to allow the most effective learning. State of the Art sports centre containing a large multi-purpose Sports Hall with 6 badminton courts, basketball, netball, indoor football, indoor hockey, volleyball marking and 4 cricket nets. The building also houses a Dance Studio. Extensive grounds containing a hard-court area with 4 netball courts, 4 tennis courts, 2 mini-tennis courts and a basketball court. A floodlit, full-size astro-turf pitch for hockey and football as well as our playing field for football, cricket, rounders and athletics. We work closely with the network to provide a range of opportunities to take part in sport as competitors but also in developing our pupils as leaders in the local community. This includes helping to organise and run a range of competitions for local primary and secondary schools. We regularly officiate Key stage 1 and 2 Sportshall Athletics championships, Key Stage 3 & 4 county badminton championships, district primary cricket championships and the Y7 Quadkids athletics competition. The Department has a strong and varied programme of activities after school and regularly competes against other schools in Football, Netball, Hockey, Badminton, Rounders, Cricket & Athletics as well as performance activities like Dance, Gymnastics and Martial Arts. The school enters teams and individuals in both district and county competitions, and our stronger competitors are given the opportunity to trial for representative honours. The department runs most extra-curricular sessions on an open basis in that all pupils are welcome to attend and the majority are free of charge. Selection for school teams is based upon trials, attendance at extra-curricular sessions and performance in lessons. Clubs are advertised in weekly Sports Bulletin which can be found on the news area of the school website and emailed to all pupils on a Friday. The department runs an annual ski & snowboard trip. We usually travel to different resorts during February half-term provided there is sufficient demand. Pupils from year 8 to 13 are able to go on the trip and they enjoy 25 hours of ski or snowboard instruction over 5 days. It is hard work, but hugely enjoyable and the pupils always make a lot of progress during the week. Recent trips include: Killington, Vermont, USA (2010), Folgaria, Italy (2011), Bad Kleinkircheim, Austria (2012), Katchberg, Austria (2014), Sestriere, Italy (2015), El Tarter, Andorra (2017 & 2018). This is held annually in June at Thames Valley Athletics Centre in Eton. 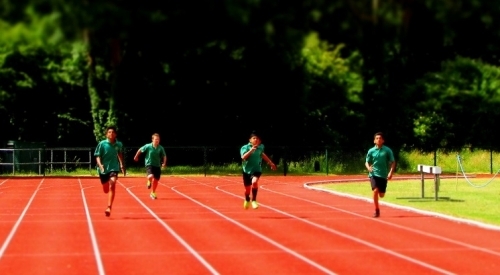 All pupils participate in the inter-form athletics competition. A wide range of events take place and it provides the opportunity to beat some of our long-standing school records (see document at bottom of page). This is held annually in the week before the Easter holiday. Pupils take part in Artistic and Acrobatic Gymnastics, Vaulting and several types of Dance. Parents, pupils and staff are invited to attend and watch the routines developed both inside curriculum lessons and at extra-curricular clubs. The show always ends with a spectacular display of vaulting to music.